In 2017 brownfield registers came into effect, a new measure by the government aimed at unlocking brownfield sites for the development of thousands of new homes. This initiative combined with the ever growing need for new housing means there is a greater requirement for planning sewerage and drainage systems on potentially contaminated land. Contaminants may attack plastic piping and risk ingress to water systems. This post looks at how the risk can be managed and mitigated when designing and installing sewer and drainage systems for brownfield sites. In 2017 brownfield registers came into effect, a new measure by the government aimed at unlocking brownfield sites for the development of thousands of new homes. This initiative combined with the ever growing need for new housing means there is a greater requirement for planning sewerage and drainage systems on potentially contaminated land. Contaminants may attack plastic piping and risk ingress to water systems. This post looks at how the risk can be managed and mitigated when designing and installing sewer and drainage systems for brownfield sites. 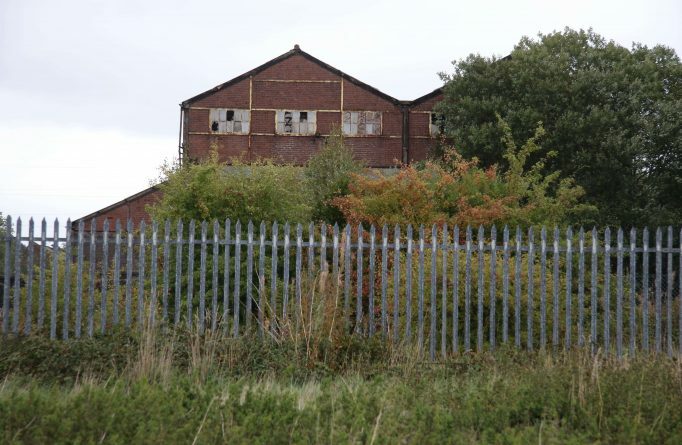 A brownfield site in the UK is classed as developed land that has the potential for being redeveloped. Often brownfield sites have been used for industrial and commercial purposes before being left derelict and possibly contaminated. Regional or local planning authorities sometimes require that an assessment of land to be made to ensure it is suitable for its intended use. In addition the environment agency and devolved administration in Wales, Scotland and Northern Ireland have a requirement for water quality to be protected and discharge to rivers to be reviewed using risk assessments. Risks will also include health and safety of humans living and working on a site as well as the risk of ingress into waste water systems. It is also important consider how contaminants in the soil could compromise the long term performance of any pipe work. The BPF (British Plastics Federation) recommends using the SOURCE, PATHWAY, RECEPTOR model to assess and address the risk of contamination entering pipework and affecting its performance. Contamination will only create risk if all three elements of the model are present. A source describes the actual presence of contaminants in the ground. The first solution that should be considered is to completely remove the contaminants from the ground. This describes the way that the contaminant will travel from source to receptor. The pipework layout could be adjusted to remove the pathway or a barrier layer could also be created between the source and the pipework to mitigate risk. Finally the receptor describes the pipework running through the site. If the risk cannot be mitigated by removing the sources or blocking the pathway of the contaminants to the pipes then the suitability of the pipes should be checked to ensure that there is no risk of contamination or loss of performance as a result of contaminants. The unplasticized polyvinyl chloride (PVC-U), polypropylene (PP) and polyethylene (PE) used to manufacture plastic drainage pipes are naturally resistant to many inorganic contaminants including acids and alkalis, sulphides, chlorides, sulphates and cyanides. For other contaminants including organic compounds, it is always advisable to check with the pipe manufacturer directly. In exceptional circumstances where PVC-U PP or PE pipes are unsuitable for use in a brownfield site, clay pipes may provide a suitable alternative. They are suitable for most applications involving contact with contaminated ground as vitrified clay is an inert material which means that it is resistant to almost all chemical attack.